One of the most exciting things that I do is to travel around the world and meet the people that make a difference. You could say that it is my passion. I have spent months of my life in China and in Peru and in Africa as a tour guide, showing other people the sights of these beautiful places. Although I have been excited to visit the Great Wall of China and Machu Picchu, my most memorable experiences have been away from the tourist sites and in the homes of people I met along the way. 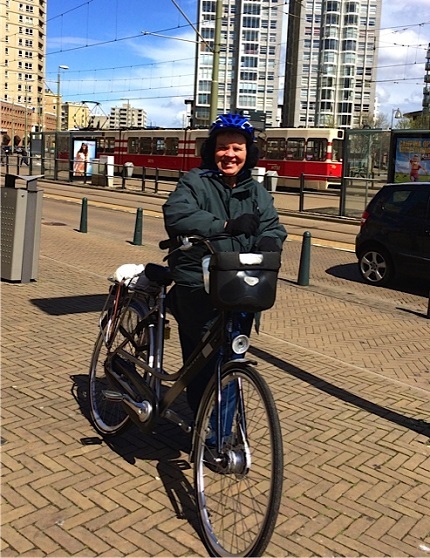 I just returned from a seven-day bike ride through the Netherlands. My desire to visit there came 10 years ago when I met with Daryl and Hank Hoole. 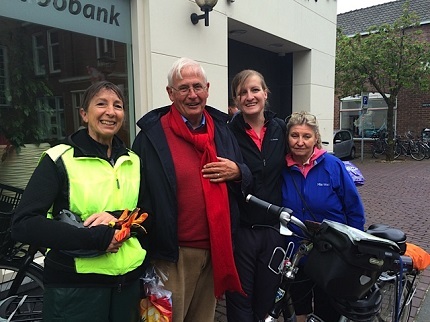 Hank and Daryl both have Dutch ancestry, and they shared with me their love of the Netherlands. When Hank was just 17 he left Amsterdam and came to the USA in search of a new life. He married Daryl and they were soon on their way to creating an incredible life in Utah. The two of them were able to return to their native land when Hank served as a mission president, so they were able to spend three years of their adulthood there and remembered it well. 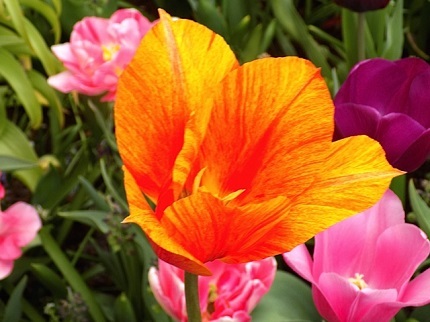 They shared with me their amazing experience of trips through the tulip fields in the spring. I learned that this small country is one of the flower capitals of the world. I fantasized about going to see the tulips and the windmills, but life intervened as it often does. I forgot about my dream of going to see the tulips until I traveled through the Amsterdam Airport a year ago on the way to Africa and saw all of the tulips for sale. Those tulips jogged my memory. I remembered my dream and decided to create a trip to see the tulip fields. Hank and Daryl had told me that most of the people who live in the Netherlands travel around on bicycles, and I thought that would be a marvelous way to see the country. I put together a bicycle trip, and that was exactly what we did. Nine of us hardy souls gathered on May 1 to take the first direct flight from Salt Lake City to Amsterdam. With my eight special friends on our bikes we descended into the magic world of tulips, cheese, windmills and wooden shoes. The colors in the tulips were so varied and beautiful. Keukenhof is the name to the place I call the Disneyland of Tulips. 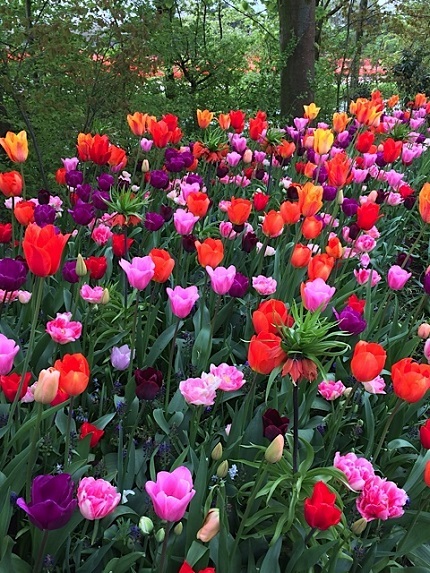 It is a park as big as Central Park with garden after garden of tulips. 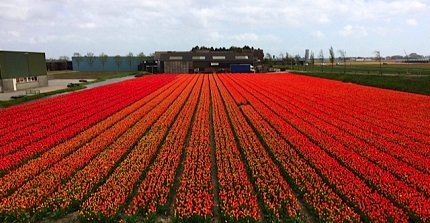 Each spring for about month the farmers raise tulips for the bulbs that will be sold all over the world. 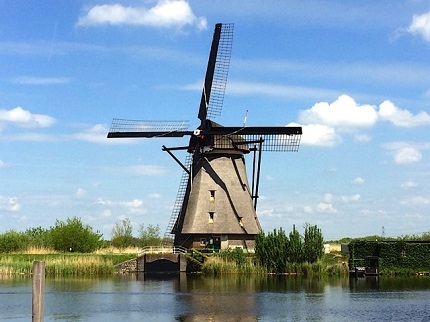 The Netherlands are known for the windmills that pump the water to create more land. Windmills are also used to grind wheat. 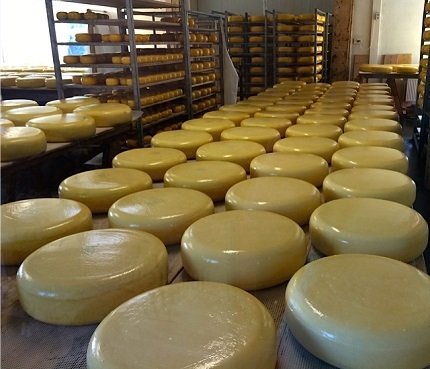 The Dutch are known for their delicious cheese. 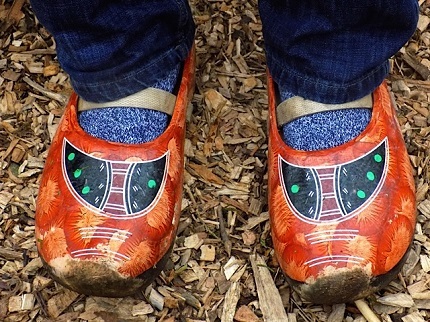 These wooden shoes were worn by a plumber. His wife said he wears them everywhere. One amazing thing about the Dutch is that almost everyone speaks good English. This sweet man came up and wanted to talk to us. He said that he was only five when the Germans occupied the Netherlands. He told us that he was so hungry they would go to the German soldiers and beg for bread to eat. 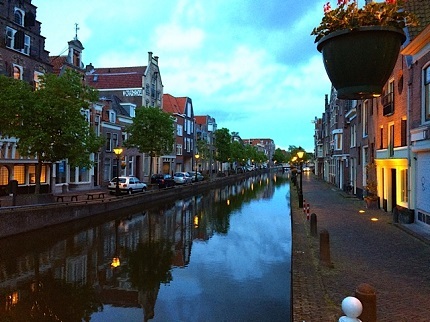 There are canals in almost every village we went to. In the evening the reflection from the water is magical. 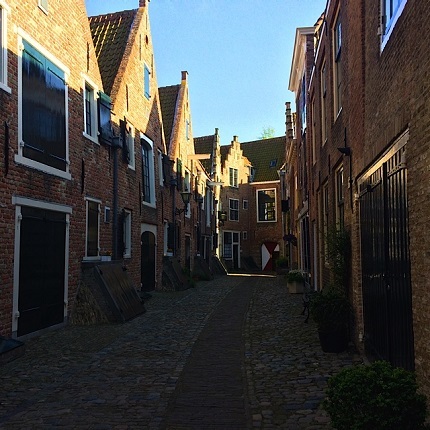 This little narrow street was built in the 1700, which was the golden age of the Netherlands. We rode 200 miles in seven days. When you travel near the ground you see much more of a country and its people. I enjoyed learning and experiencing more about this amazing people and country. I am home and wanting to go back. Dian Thomas is an author of many idea books including Roughing It Easy, which was a New York Times bestseller. Go to www.DianThomas.com to learn more about Dian’s books.